London has had to wait 35 years for the arrival of the Broadway hit Dreamgirls – but it has been worth the wait. While Michael Bennett’s original 1981 staging remains indelible – in my memory, one of the greatest Broadway productions I’ve ever seen – another Broadway hoofer turned director/choreographer Casey Nicholaw both respects and amplifies some of its thrilling innovations. 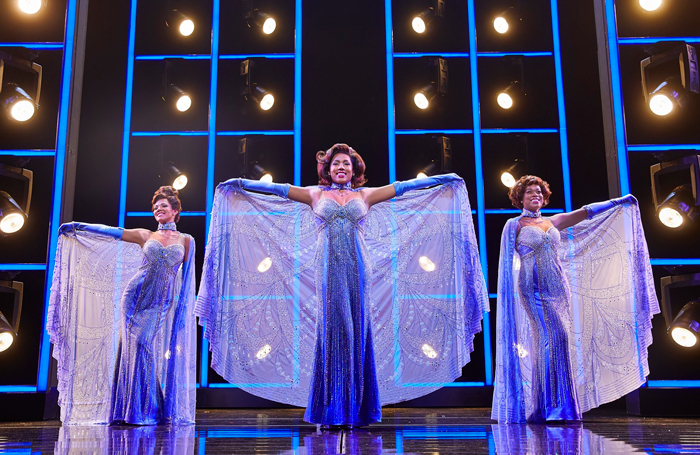 As in Bennett’s original production, a series of automated lighting towers (there are six now, against the original five) prowl the stage, restlessly propelling the show from scene to scene. 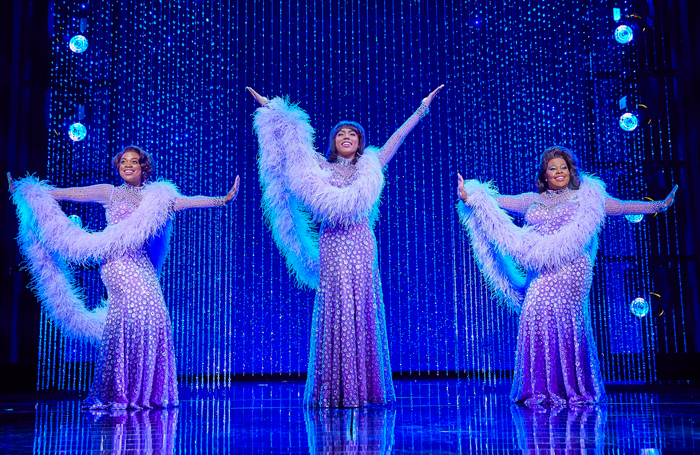 The story follows the rise of a three person R’n’B girl group. They begin as reluctant back-up singers to James ‘Thunder’ Early before becoming stars in their own right. 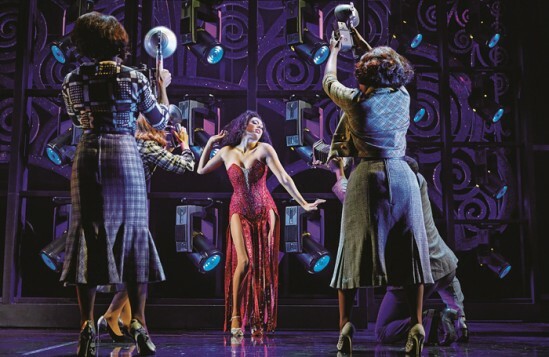 Then the original lead singer Effie White, who is dating the group’s ruthless manager Curtis Taylor Jr, has her role usurped both onstage and in his bed by the more svelte Deena Jones, and a classic backstage struggle emerges. 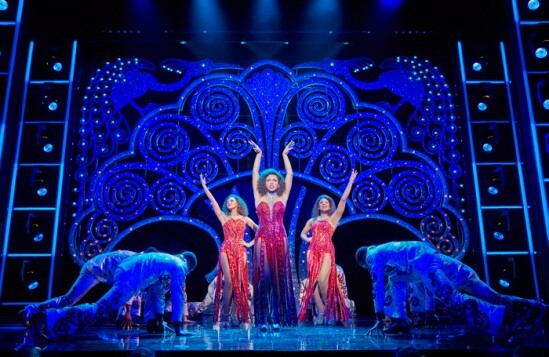 The plot of Tom Eyen’s book may feel a little blunt and obvious, but the irresistible joy of Dreamgirls lies in a score by Henry Krieger that is a magnificent parade of original hits. 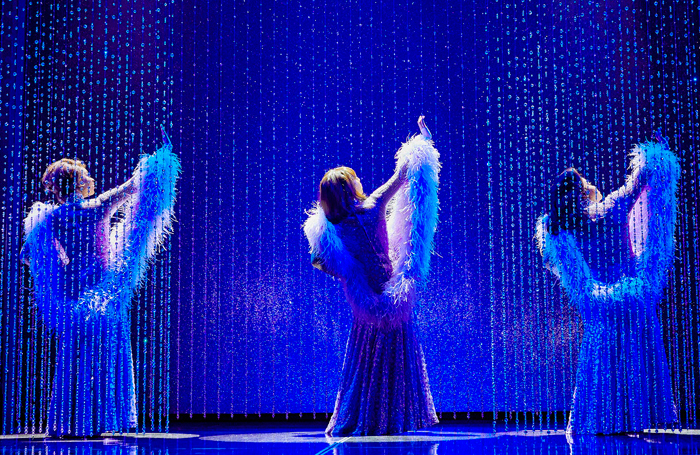 The irony is that some of these songs have become so well known – particularly the epic Act I curtain song And I Am Telling You I’m Not Going and the thrilling One Night Only – that it feels a bit like a jukebox musical, despite being entirely original. Krieger has channelled this into a propulsive symphony of melodies that are stunningly played by a pit band under the baton of Nick Finlow. 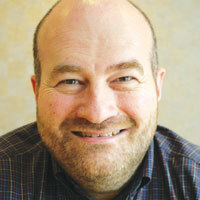 But Nicholaw has also staged it with an expansive economy through Tim Hatley’s designs. 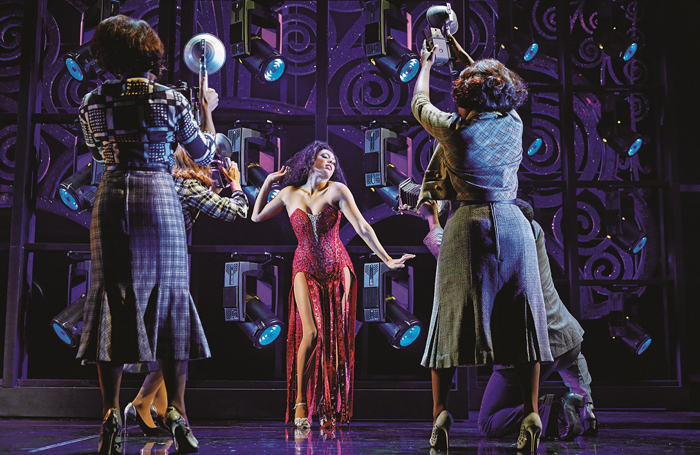 It is simultaneously epic yet detailed: there are splashes of outrageous colour, like a shimmering crystal curtain or a glittering backdrop that Hugh Vanstone’s lighting re-colours repeatedly. 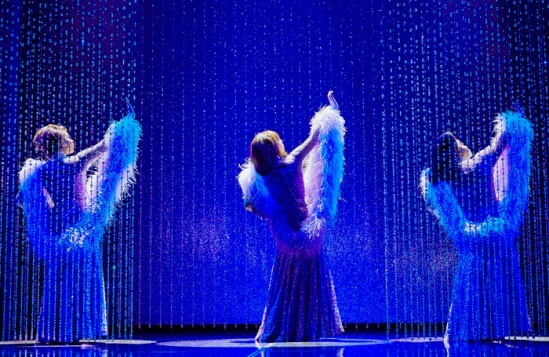 The vocal performances of the large company are amazing. 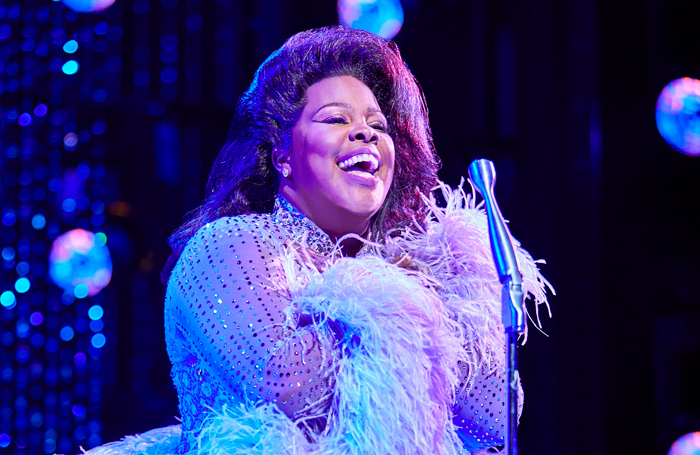 Glee’s Amber Riley is an absolute dazzler as Effie. She has an assured stage presence that is both formidable and wrenching as she tears into her big songs and wins several mid-performance ovations and even standing ovations. Perhaps audiences have been over-conditioned by The X Factor to respond in this way, but she earns the approval. Liisi LaFontaine and Ibinabo Jack hold their own as fellow Dreams Deena and Lorrell. Joe Aaron Reid brings a sense of studied detachment and ambition to Curtis, while Tyrone Huntley as Effie’s songwriter brother CC White also stands out vocally. 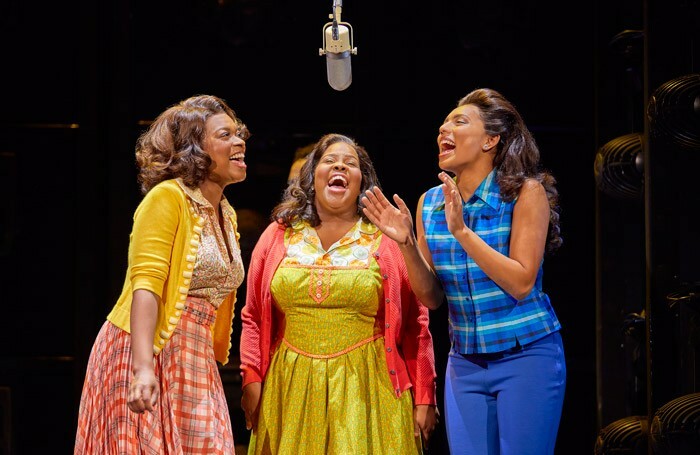 Along with Motown playing at the Shaftesbury, the show sees the number of black performers in the West End growing – and it is pleasing to note a more diverse audience to the usual West End crowd supporting it as a result.